A typical boarding day begins with breakfast which you will be responsible for providing. We advise that you include 3 extra meals, just in case. From 7:00 am to around 6:30 pm, your dog will attend daycare and play with his or her furry friends all day long, with a few rests in the mix. Upon closing, your dog will be fed dinner, use the potty one last time, will get lots of hugs and kisses, and be left with any comfort items you wish to provide. This could be a piece of your clothing or any favorite tasty treats you wish to provide. Please do not bring any rawhide as this can be a choking hazard. Please feel free to bring anything that you believe will make your dog more comfortable in his or her “home away from home.” After a good night’s rest, your dog will be ready to do it all again the next day! Due to shortened hours on Saturday and Sunday, after playing during the day from 8:00 am – 4:00 pm, the dogs will retire to their abode and be let out for one more hour of play-time and potty breaks at 8:00 pm. Requirements for Boarding: Any dog boarded at The Dog Bark must comply with all of the daycare requirements. 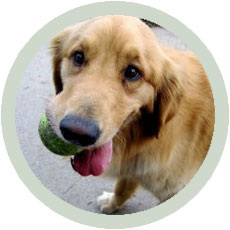 If your dog has not yet attended daycare, he or she must pass the temperament test and attend a full day of daycare to ensure a positive experience while you are away. Reservations for Boarding: Please make reservations for Boarding on our reservations page as far in advance as possible to ensure a spot. Reservations may also be made in our store or by phone. Cancellations must be made at least 48 hours in advance. During peak times and for extended stays, cancellations must be made at least 7 days in advance. Please see the cancellation policy found in forms for details. Drop-off/Pick-up: You may drop your dog off for boarding as early as 7:00 am. Please pick your dog up by no later than 12:00 pm if you wish to avoid being charged for a half or full day of daycare. If you drop your dog off after 12pm, you may pick your dog up before we close on the day of pick-up without accruing additional daycare charges. *Peak times include holidays, holiday weekends (Friday through date of holiday), the week of Thanksgiving, Christmas and New Years (Sunday through Sunday). Multiple Dog Discount: 2 or more dogs from the same family staying in the same suite will receive a 20% discount during both peak and non-peak times while 2 or more dogs staying in separate suites will receive a 10% discount. Extended Stay Discount: Any dog staying 7 days or longer will receive a 10% discount. *Only one discount may be used per stay.